Our premium quality made to measure plantation shutters are available in a range of materials, stains, slat sizes and paint finishes, we promise that we can match almost any colour. 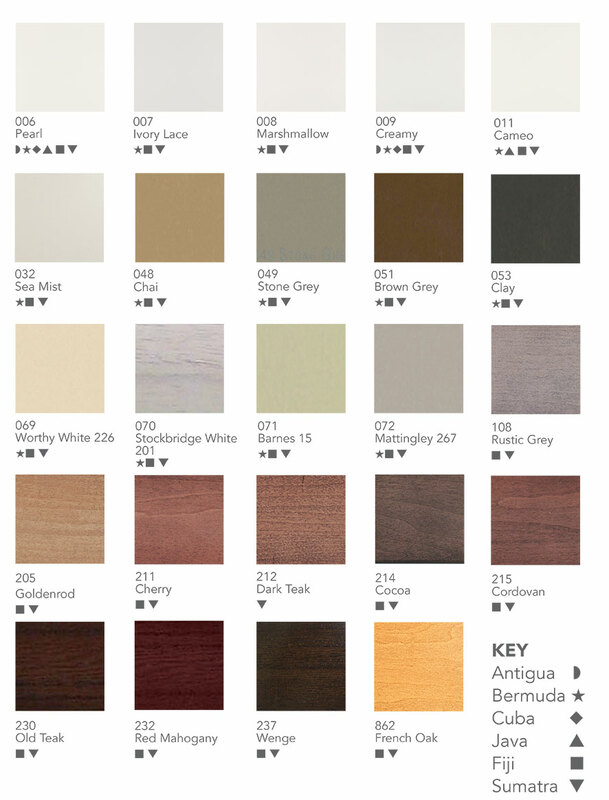 Our product range is designed to accommodate every budget, from Craftwood MDF to our premium white teak and all our shutters are coated in a UV protective layer to ensure the highest protection against fading from direct sun light. This video is from our S-Craft range, more shutter materials are available in our showroom, so why not pop into our new showroom in Hull or book an appointment for one of our representatives to visit you in the comfort of your own home. We have the expertise to colour match your shutters to the interior colour of your choice. So why not bring your own colour and we will try to match it! Not all colours available in all shutter materials – Please see our key*. Even more colours are available in our showroom. 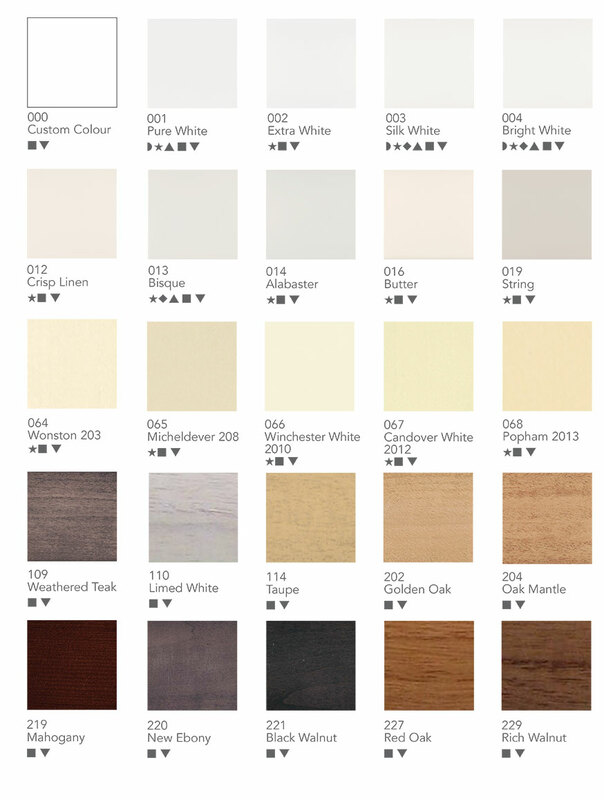 *The colours shown are for representational use only and do not offer an exact colour match.